Avanchick - Vocalist NOAH to Participate as Guest Singer in Lightning Strikes Album | VKH Press – J-Rock & Visual Kei Coverage Worldwide! NOAH, who is the vocalist of the visual kei band Avanchick will lend his vocals as a guest singer on the band Lightning Strikes’ upcoming full-length album. The all-star lineup of talented musicians in Lightning Strikes features vocalist Nando Fernandez (Hangar), keyboardist Derek Sherinian (Dream Theater, Kiss, Alice Cooper, Billy Idol, Yngwie Malmsteen), guitarist Rob Math (Seal, Toni Braxton, Leatherwolf), bassist Cat Tate (Snew, Red Again) and drummer Karpis Maksudian. The full-length studio album will be mixed by Roy Z (Judas Priest, Yngwie Malmsteen, Bruce Dickinson, Helloween, Sepultura) and former Black Sabbath vocalist Tony Martin will also feature as a guest singer for two songs. NOAH will be recording guest vocals for two songs on the album. First, “Doki no Sakura”, which is a traditional Japanese song, recorded in koto by Masayo Ishigure. “Doki no Sakura” will include enka style vocals. NOAH will also be recording guest vocals for the song “Kamikaze,” which was originally written in 1986. Lightning Strikes’ album will be released May, 2016. About NOAH: NOAH, born on December 25 and hailing from Kumamota, Japan, is the vocalist of the Tokyo-based visual kei band Avanchick and also works as their main composer and lyricists. Avanchick began activities on July 11, 2014, and their first live performance, which was held at Shibuya REX, immediately sold out. On October 24, 2015, Avanchick played a show at Ikebukuro EDGE, in which they were the only band to perform, and completely sold out the venue. Only a few days later on the 27th of October, Avanchick’s 4th single Jibaku was released and ranked 17th on the Oricon music ranking charts. The title track of Jibaku carries the theme of loneliness and touches on the painful and chaotic relationships between men and women, including awkward romances and societal aspects. Now, as they begin to catch attention as “the band with currently the realest lyrics and prettiest voice,” Avanchick prepares to hold their next performance where they will be the only band to perform on February 5, 2016. This show will be held at their biggest venue for a solo performance to date: Takadanobaba AREA. Now, NOAH has received the honor of being the only Japanese person to participate in the recording project with Lightning Strikes. NOAH decided to participate to spread visual kei, a part of Japanese culture, around the world. He hopes everyone enjoys the wonderful song, which has now been completed with the help of an excellent producer, artists, and staff. About Lightning Strikes: Formed originally in 1986, Lightning Strikes has had a long and somewhat complicated history. After their short run in 1986, drummer Karpis Maksudian attempted to reform Lightning Strikes in 1987 with a completely new lineup. However, in late 1987, they took a hiatus to write new material, which unfortunately became permanent. Now, Karpis Maksudian has once again reformed Lightning Strikes with an all-star lineup of musicians to record a full length album. This lineup features vocalist Nando Fernandez, guitarist Rob Math, keyboardist Derek Sherinian, and Cat Tate, the bassist from Lightning Strikes’ first run in 1986. To add to this impressive list, Roy Z will be mixing the full album and former Black Sabbath vocalist Tony Martin will be providing guest vocals for 2 songs on the album. 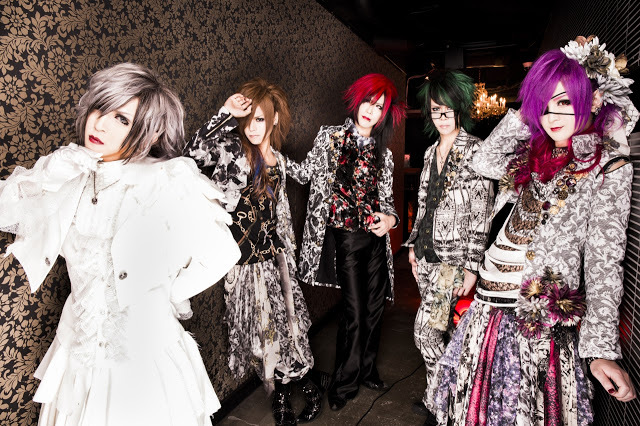 The album will also feature a guest vocalist known as NOAH from the Japanese visual kei band Avanchick. NOAH will be recording guest vocals for a the traditional Japanese song “Doki no Sakura,” which has been recording in koto by the famous koto player Masayo Ishigure. NOAH will also be recording the vocals for the track “Kamikaze,” which was originally written by Karpis in 1986.